On Light was a 3 day festival of light with the Wellcome Collection and UCL. 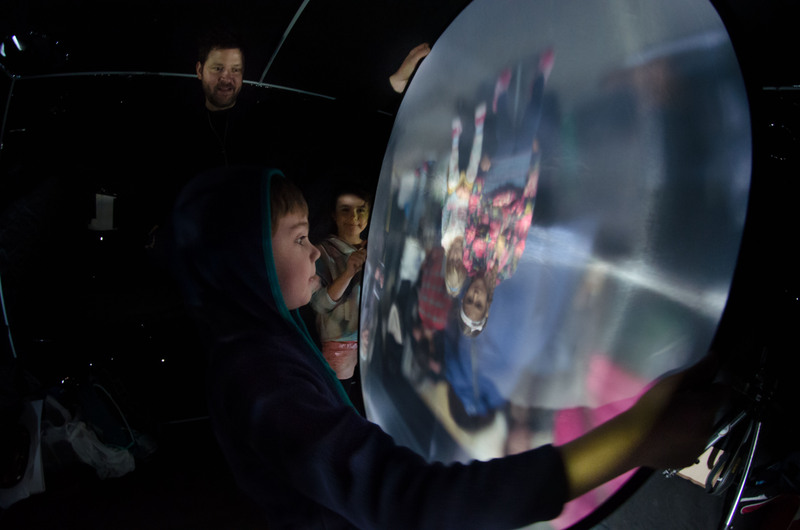 LightPlay was joined by more than 60 artists, academics, scientists and writers – each presenting their own take on the creative and practical applications of light. 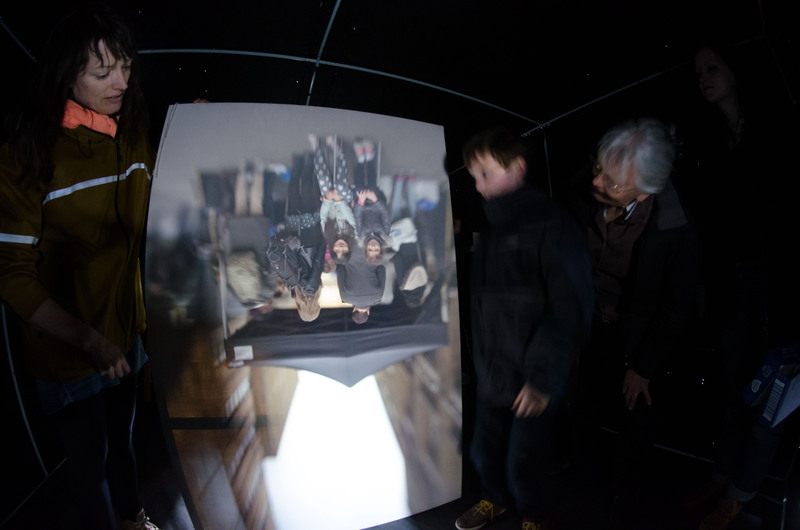 It was a very busy day with hundreds of people stepping inside the camera obscura – below are just a small sample of the visitors who got involved. 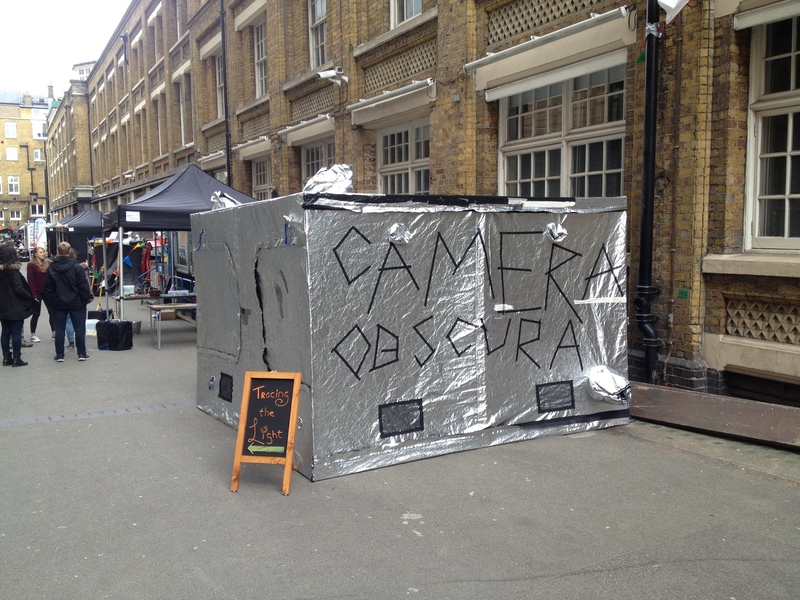 Inside the camera obscura I demonstrated how it has been used by artists, scientists and astronomers through time. 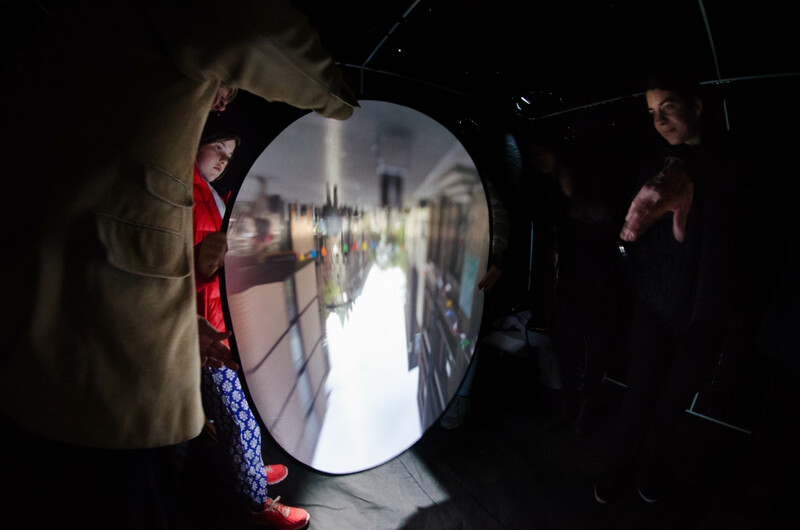 New for this event was the addition of a second lens – meaning we were able to enjoy two different views and experiment with blending the projections on the same screen. If any visitors would like a print of their portrait, please email me – sam at light-play.org. The prints are priced as follow – £8 for 5×7 and £12 for 10×8. This includes postage within the UK. 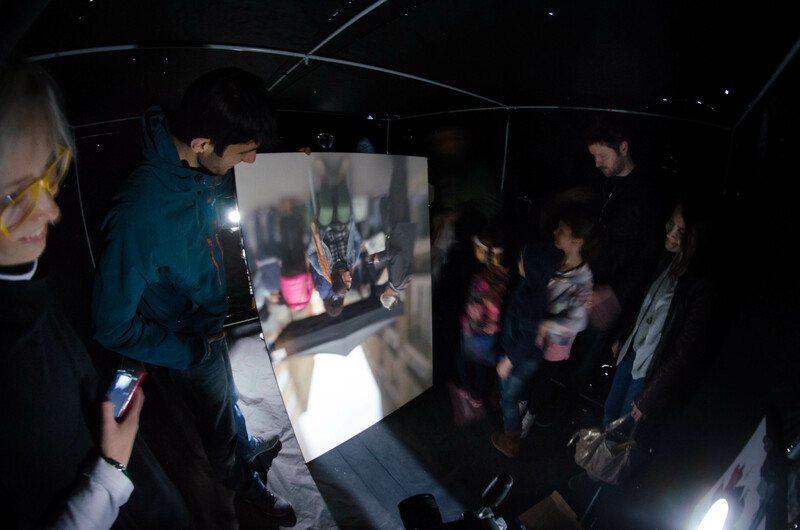 Thanks again to all who came and to everyone who helped on the day – keep scrolling down for portraits – click them to view them larger.